VPC collaborated with the PATH to Care Center to administer and evaluate the Social Norms Mini-Grant and provided ongoing support to campus grantees. VPC designed a community norms campaign "Bears Got Your Back" to encourage individual interventions by highlighting and uplifting community protective behaviors. We wanted to put faces to how people look out for one another in order to promote positive support as a campus norm. The campaign was slated to be featured in the Golden Bear Orientation (August 2017) and other campus publicity. 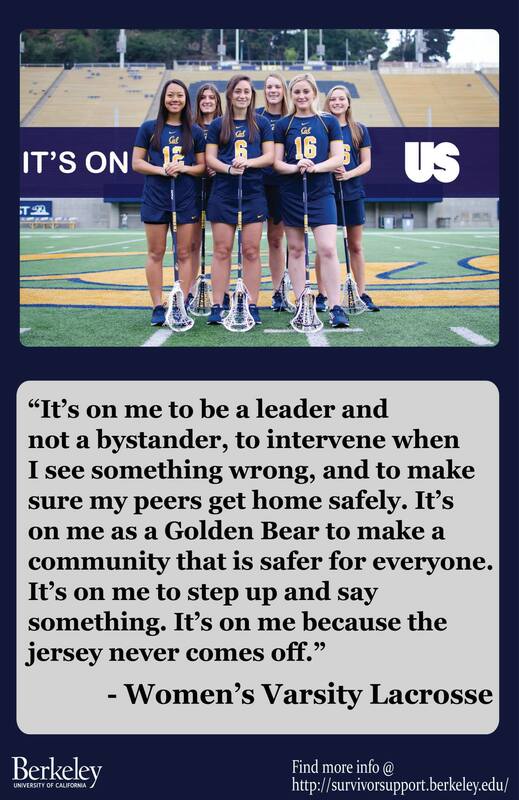 VPC created and launched Berkeley's very own version of the national It's On Us campaign. VPC members looked to the Cal community for nominations of students, faculty, and staff to feature in the campaign. Students led the way in the creation of the posters and banners, including the photography and graphic design of 13 unique images. 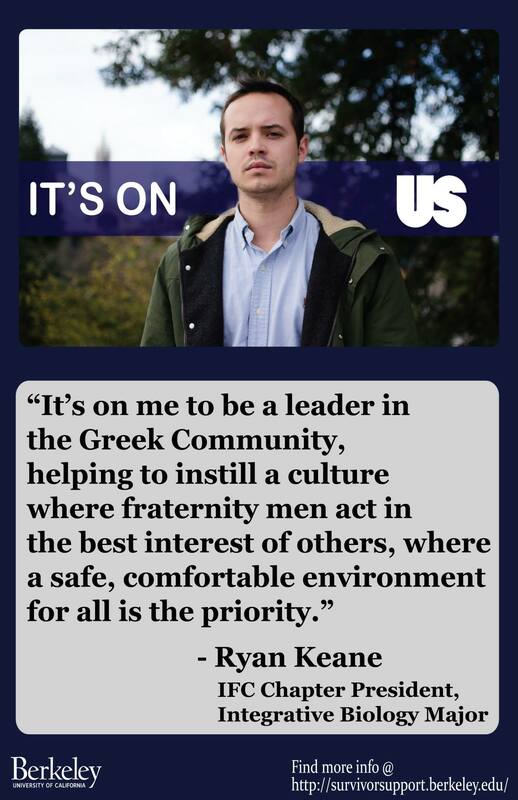 The campaign launched in January 2015 with large lamp post banners across campus and hundreds of posters in dozens of buildings. Community members quickly took note of the captivating images and powerful messages, as covered in this Daily Cal article. The lamp post banners remained up until December 2015, and the posters are still prominently displayed in buildings throughout campus. For all 13 banners, visit our BTC FB page.